Danish house prices continue to surge! Denmark's negative interest rates continue to work their dangerous magic on both the housing and mortgage markets. The price index of owner-occupied flats in Denmark rose by 7.88% (7.25% when adjusted for inflation) during the year to February 2018, an acceleration from last year's growth of 6.87% (5.81% when adjusted for inflation), according to&nbsp;Statistics Denmark. The average price of owner-occupied flats surged 8.5% y-o-y to DKK26,630 (EUR3,575) per square metre (sq. m). Detached/terraced house prices rose by 5.3% y-o-y to an average of DKK13,191 (EUR1,771) per sq. m.
Holiday home prices rose by 6.4% y-o-y to an average of DKK14,546 (EUR1,953) per sq. m.
In the&nbsp;Capital region,&nbsp;i.e. Copenhagen and its hinterland, the average price of owner-occupied flats rose by 10.4% y-o-y to DKK34,130 (EUR4,582) per sq. m.
In&nbsp;Zealand&nbsp;region,&nbsp;house prices rose by 1o.3% y-o-y to an average of DKK16,319 (EUR2,191) per sq. m.
In&nbsp;Southern Denmark,&nbsp;house prices increased 6.2% to an average of DKK15,086 (EUR2,025) per sq. m.
In&nbsp;Central Denmark,&nbsp;house prices increased 4.1% y-o-y to DKK21,410 (EUR2,874) per sq. m.
In&nbsp;North Zutland,&nbsp;house prices rose modestly by 2.9% y-o-y to an average of DKK16,910 (EUR2,270) per sq. m.
Demand is rising strongly. In 2017, registered sales for one-family houses increased 9.7% y-o-y to 47,444 units while sales for owner-occupied flats rose by 4.5% y-o-y to 17,977 units, according to Statistics Denmark. Despite Denmark's association with liberalism, it is not easy to acquire property here. If a non-EU national, has a valid residence or business permit. There are some special restrictions on foreign ownership in some areas, especially when buying summer holiday homes. This is particularly prevalent in coastal areas. These are popularly known as the 'anti-German rules'; because they are designed to prevent coastal areas from being overrun by German second home owners. However, the purchase of "all-year-round" properties, which are not located in popular areas along the coast, is possible as long as you satisfy the aforementioned requirements. "The housing market is in fine shape, with prices rising across most of the county - and the outlook is for this to continue, supported by general economic growth and rising household income," said Danske Bank in its March 2018 report. "Relatively few properties for sale, short sales times and just modest price discounts support the picture of this being a seller's market." However, house price rises are projected to moderate during the remainder of the year, amidst tighter lending standards. Weak construction activity supports the continued rise in house prices. In 2017, residential construction permits fell by 35.2% y-o-y to just 18,151 units, in sharp contrast to annual growths of 15.8% in 2016, 39.7% in 2015 and 41.1% in 2014. In Q1 2018, total mortgage outstanding rose by 2.4% y-o-y to DKK2.7 trillion (EUR363 billion), according to the Association of Danish Mortgage Banks&nbsp;(ADMB). Effective January 1, 2018, the government introduced tighter lending regulations, in an effort to reduce the share of more risky interest rate and repayment-free mortgages on the overall mortgage lending portfolio of banks. Banks will be limited from offering housing loans that do not have fixed interest rates, or monthly installments. Moreover, the number of mortgages available to households seeking to borrow more than four times their income, or more than 60% of the value of the property will be heavily restricted. "These are reasonable guidelines that should ensure that homeowners are more robust," said Lars Krull of Aalborg University. The move is also supported by Nordea economist Jan Storup Nielsen, who believes that the move "represents a major departure from previous policies and will likely help reduce the risk of a new housing bubble." In the past recent years, the&nbsp;International Monetary Fund&nbsp;(IMF) had been urging the Danish government to reverse its negative interest rates mandate and introduce new policies to avoid a disastrous housing bubble. In 2017, Denmark's economy grew by 2.2% - the highest growth since 2006. The economy is expected to expand by 1.8% this year and by another 1.9% in 2019, according to the&nbsp;European Commission. Residential property prices in Denmark have been stable during the past three years (2012-2014), according to StatBank Denmark. In Copenhagen, our research suggests that the price of apartments has remained stable, with maybe some upward price movement for the smallest apartments. Meanwhile, in Copenhagen, rents have also been stable. The result is that rental yields on apartments in Copenhagen have hardly moved over the past two years. Apartments of 120 square metres (sq. m.) yield 4.84%. Apartments of 50 sq. m. yield 5.27%. Rental Income: Rental income subject to state income tax, from 8.08% to 15%, and municipal income tax at a flat rate of 24%. Landlords have two options when computing for taxable income: (a) itemized deductions, and (b) standard deduction to account for income-generating expenses. Capital Gains: Capital gains from sale of immovable property in Denmark earned by nonresident owners are taxed at a special rate of 24%, because they do not pay any county income tax. Inheritance: Inheritance of the immediate family (children, grandchildren, parents) is subject to total estate tax at a flat rate of 36.25%. No tax is levied on the spouse’s inheritance. Residents: Income earned by residents is taxed at various progressive rates, up to around 55.60%. Tax on income consists of state tax, AM tax, municipal tax, and church tax. Roundtrip transaction costs in Denmark are among the lowest in Europe, at 1.23% to 3.23% of the property value. The greater part of the costs is accounted for by the real estate agent’s commission at 0.5% to 2%, usually paid by the seller. 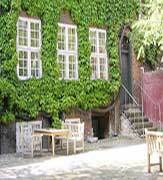 Danish rental laws and practices are extremely pro-tenant. Rent Control: There are five different forms of rent control in Denmark depending upon the age of the building and the system is very complex. However, rents on dwellings constructed after 1991 are exempt from rent control. In 2017, Denmark’s economy grew by 2.2%, an improvement from GDP growth rates of 2% in 2016, 1.6% in both 2014 and 2015, 0.9% in 2013, and 0.2% in 2012, amidst robust domestic demand, according to the European Commission. In fact, it was the highest growth since 2006. In 2008, Denmark was one of the first countries in Europe to go into recession. The economy contracted by 0.5% in 2008 and by 4.9% in 2009. Prime minister Helle Thorning-Schmidt, a Social Democrat (2011-2015), adopted austerity measures that improved government finances, and the country recorded a public budget surplus of 1.1% of GDP in 2014, after several years of deficits. Mrs Thorning-Schmidt’s measures were however unpopular, resulting in her party’s defeat in 2015 and her resignation. In June 2015, Lars Lokke Rasmussen leader of the centre-right liberal party, Venstre, returned for his second innings as Denmark’s PM, and ironically adopted inflationary policies. Spending increases over the past two years in an effort to prop up the economy resulted in a budget deficit of 1.5% of GDP in 2015 and 0.4% of GDP in 2016. However in 2017, the country’s budget balance returned to a surplus of 1% of GDP. The country’s government debt also declined to about 36.4% of GDP in 2017, from 37.9% of GDP in 2016 and one of the lowest in the EU, according to Eurostat. Government debt is expected to fall further to 33.6% of GDP in 2018 and to 32.3% in 2019. The economy is expected to expand by 1.8% this year and by another 1.9% in 2019, according to the European Commission. In March 2018, inflation stood at 0.5%, the lowest level since December 2016. Inflation is expected to be 0.8% this year before accelerating to 1.4% in 2019, according to the European Commission. Denmark’s unemployment was 4.2% in March 2018, down from 4.3% in the previous month and from 4.5% a year earlier, according to Statistics Denmark. Over the same period, unemployment for men and women stood at 4.1% and 4.2% respectively. Overall unemployment had averaged 4.8% from 2007 to 2017.